Diamond Bangles bead set with 45 Full Cut round Brilliants in Each Bangle. Bangles are available in 18 Karat yellow, white & rose gold. 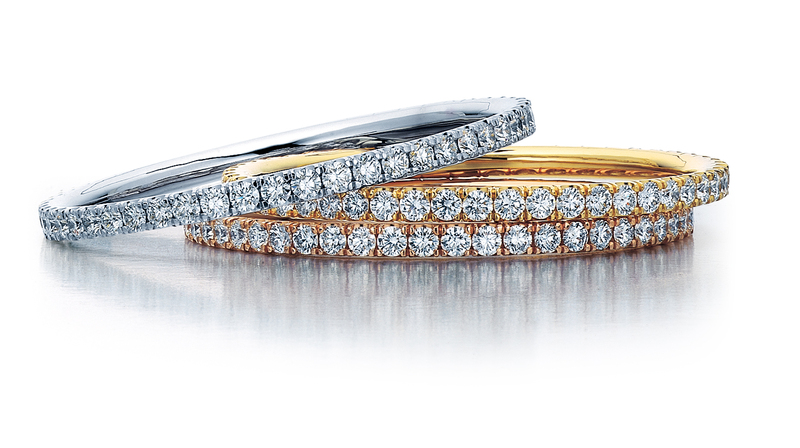 45 Full Cut Round Brilliants .15 carats apiece, 6.75 Carats (Total Weight) VS1-VS2/ F-G 14,000.00 Apiece. Smaller & Larger sizes available starting at 4000.00 per bracelet.